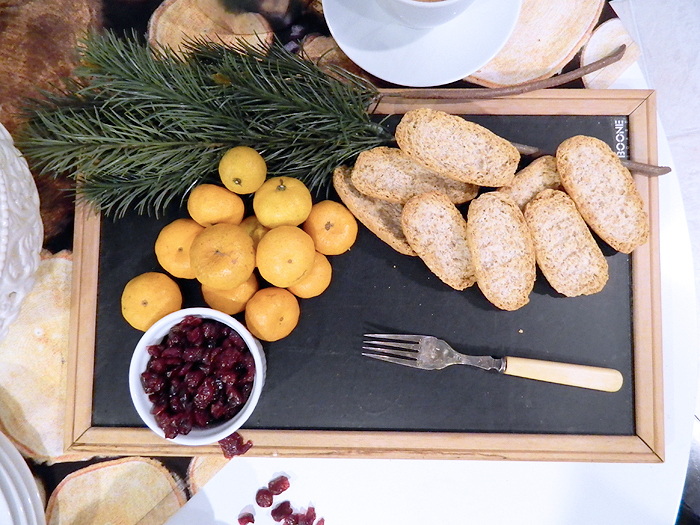 Earlier this week we hosted a little festive gathering at our place, (a casual afternoon get together with friends). When I was little, I remember my grandparents often sitting with their friends for an afternoon coffee, Fika, a break for coffee and a bite to eat. I would sit under the table and pretend I was a cat, while my grandfather broke open his favorite cheeses, paired with some strong black coffee and my grandmother's hard tack bread and ginger snap cookies. I long for those afternoons and so I decided to make a trip to IKEA for a little Swedish inspiration for our little gathering. Something I wasn't expecting while there was running into an awesome little book called Fika in the Bistro section. The book which was $6.99 (amazing deal!) contains 30 classic Swedish baking recipes from bite-size cookies to festive cakes and was the perfect thing I was looking for to inspire my little afternoon get-together! Want to take a peek? I ended up making the almond shells (theirs shown above). A really delicious little recipe I most definitely recommend. 2 cups all-purpose flour, 1/2 cup of super fine sugar, 2/3 cup of blanched and peeled almonds, 2 drops of almond extract, 7 oz of fridge temperature butter. 1 egg. After you grease and flour the baking tins, mix the flour, sugar, almonds, almond extract and butter into a smooth paste in a food processor. Add the egg and mix it in. 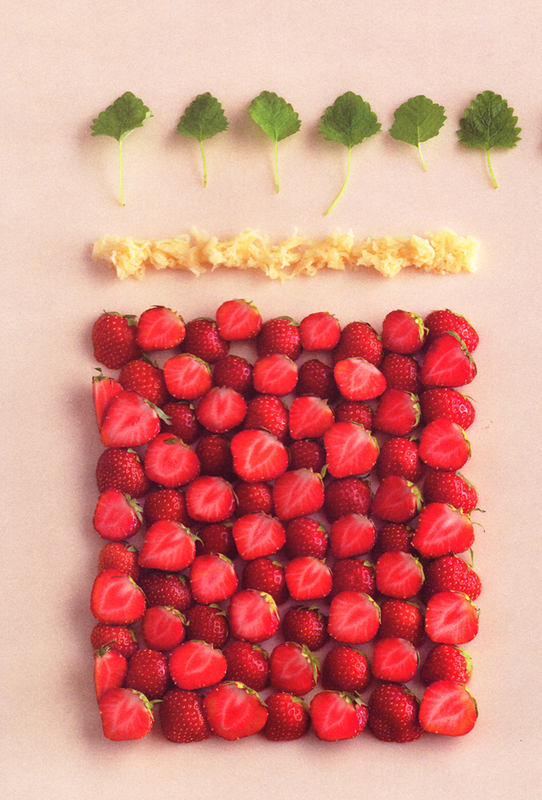 Divide dough into 3 pieces and roll into lengths, wrap in plastic, refridgerate for 1-2hrs. Preheat oven to 350 F - remove dough from the fridge, remove the plastic wrap, and divide the dough into 12 pieces, press the dough out in each tin. Bake for 8-12 min. Turn the tins over when they have cooled and carefully remove shells. 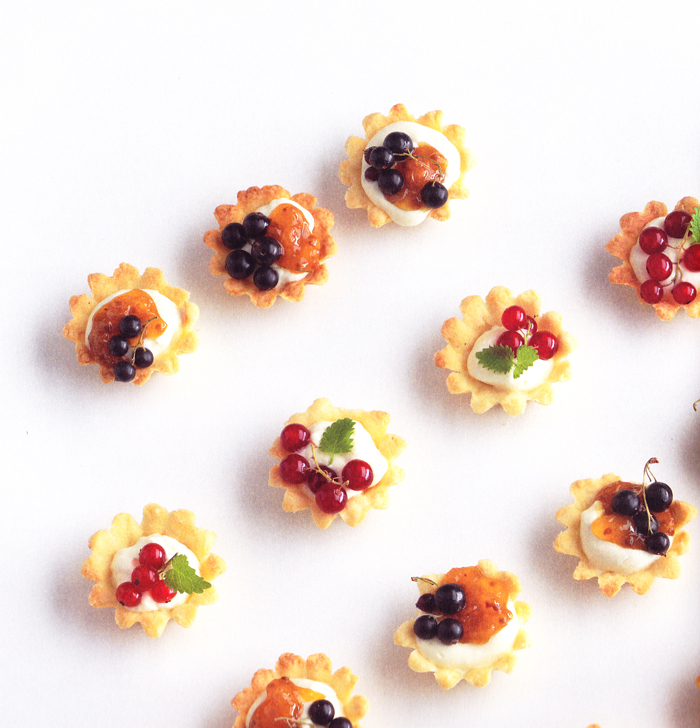 Serve the almond shells as pastries with whipped cream, fresh berries, cloudberry jam or jelly. Instead of the jam I used a little dollop of cherry pie filling. So yum! 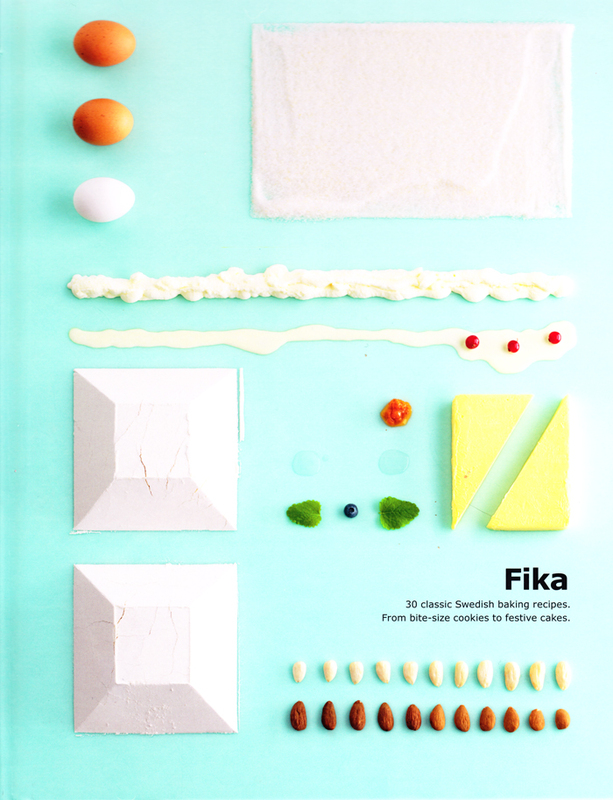 As you can see the book is also visually pleasing (Project Manager: Josefine Hallberg, Art Directed by Christoffer Persson & Staffan Lamm, Forsman & Bodenfors, styled by Evelina Kleiner, photography by Carl Kleiner/Mink Mgmt) - loved the styling of all the ingredients and then the finished baked piece. A must-have for all you bakers out there! 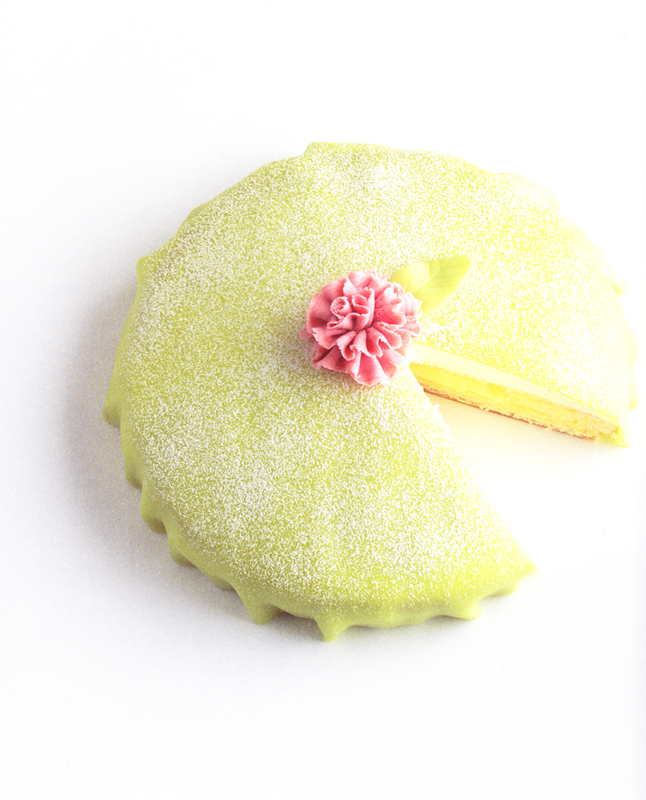 Our Fika was so fun, I hope to do it again soon. 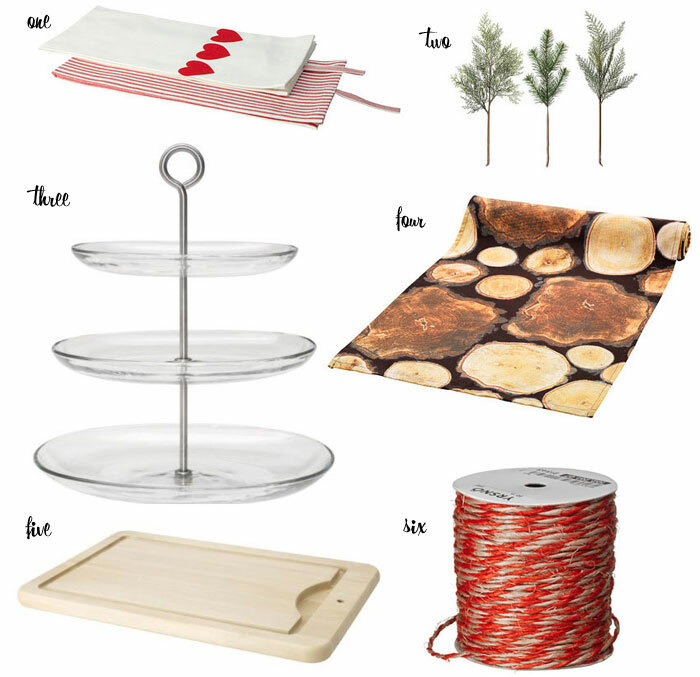 Shown on our table: one - JULKUL tea towel set, two - SMYCKA artificial spray, three - IKEA 365+ serving platter, four - JULFINT table runner, five - RESURS Carving board, six - YRSNO beige and red twine - (thank you Rosa for scooping this up for me)! IKEA food products: Princess cakes (so yum), Ginger cookies, Soft marshmallow pastry, Swedish apple cake, Rhubarb crumble tart, and BROD MJUKKAKA soft bread. Styling and photography by Jan Halvarson. 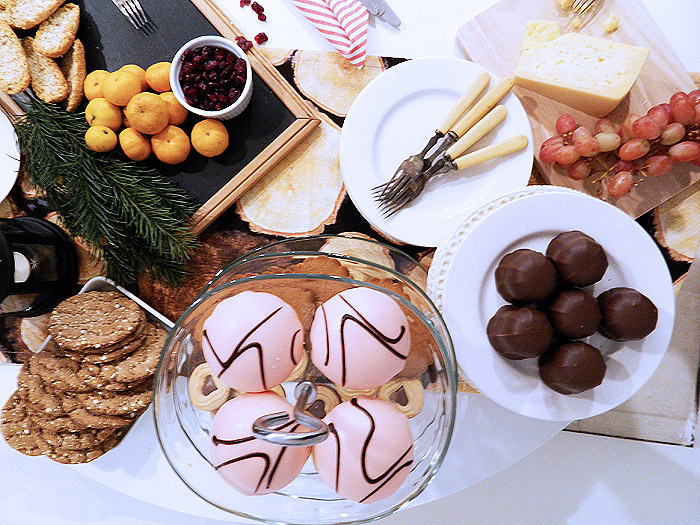 Thank you to IKEA Canada for providing some of our holiday table decor and fare and helping spread the holiday JUL! Christmas at Ikea is the best! Jan, these photos are gorgeous! I love that garland! what amazing pictures Jan! I also love the simple, yet effective garland, and you got some of the coveted Twine! Looks like you had a great afternoon with friends. 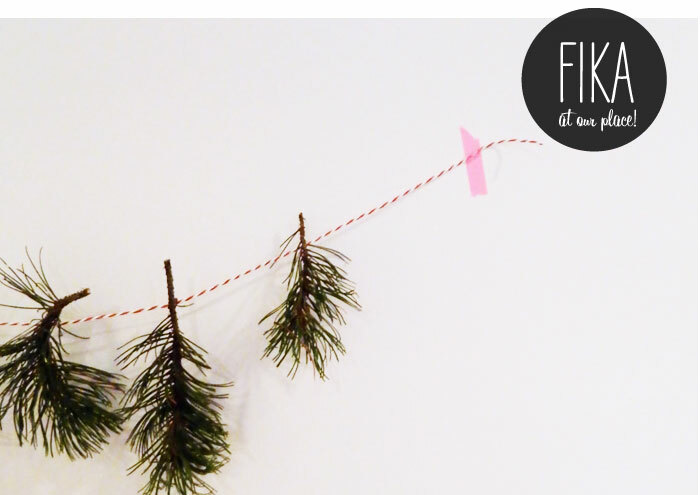 I want to come to your next Fika! Looks like it was fun....and delicious! You're welcome of course! :) Looks like quite a nice spread!! Fun! jan, amazing!! super cute and what a spread. Thank you everyone! 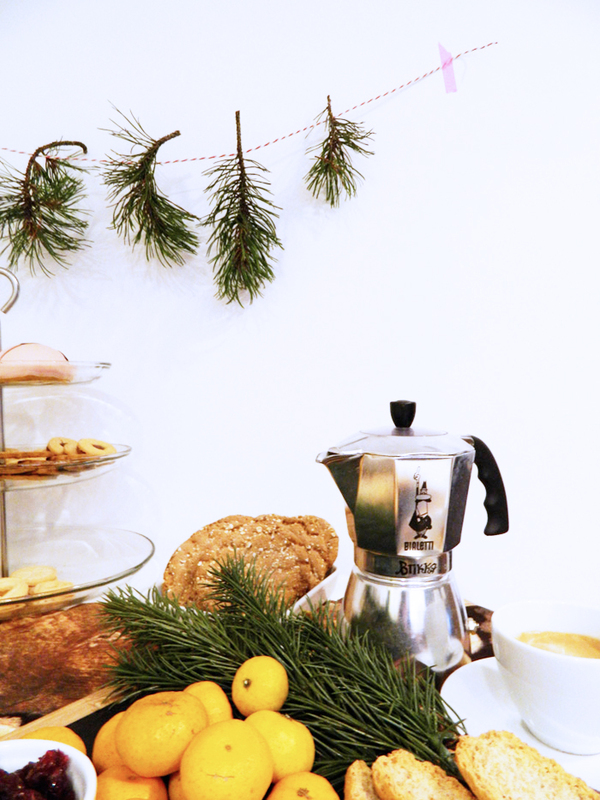 It would be so fun to have you all over for a little Fika!